HOW TO GET DETERMINED, RESILIENT, CONFIDENT, WELL ROUNDED CHILDREN... BE RECOGNISED FOR ACHIEVEMENT... INVEST IN PE. If you want to ensure that your pupils are well prepared for lifes challenges, that they are determined to find their own path, that they WILL get what they want and that you instill the confidence in them to go and MAKE IT HAPPEN, then let’s get started. If you want to make sure that your staff have the correct knowledge, resources and confidence to deliver high quality PE, you are in the right place. Ultimately, you will then be given the recognition that you deserve for all of your hard work. 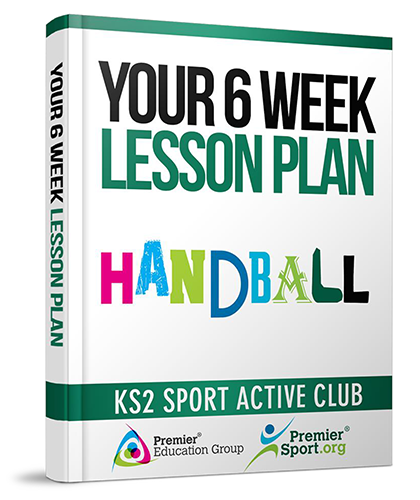 Download our FREE 6 week lesson plan for handball that includes activity details, equipment lists and differentiation ideas for varying ability groups.